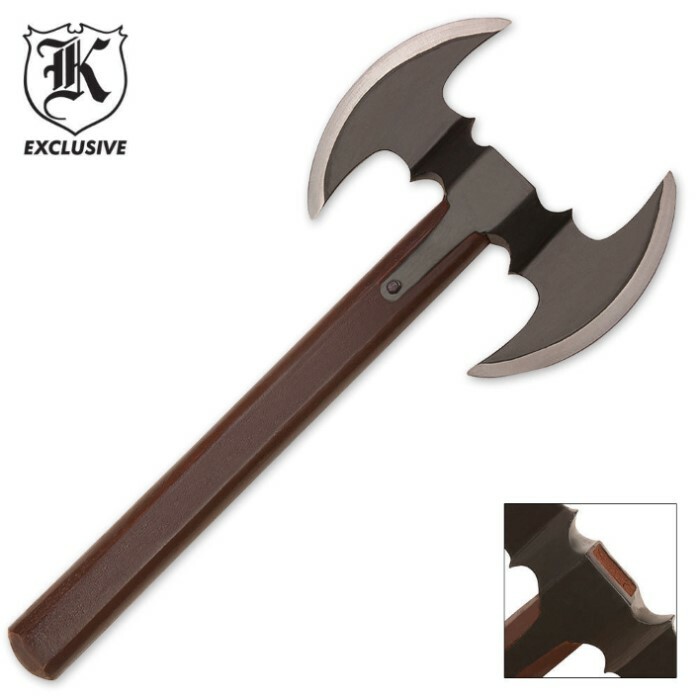 Double Bladed Throwing Hatchet Axe | BUDK.com - Knives & Swords At The Lowest Prices! Made in Pakistan. Should say enough. Metal decent. Won't throw until I can find a carbon fiber handle I can shape to fit to replace wood putty fitted handle. 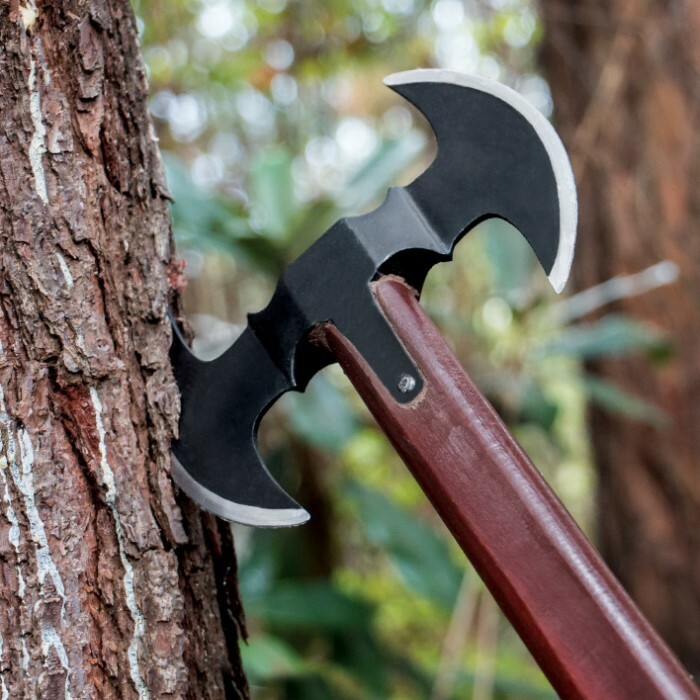 Amazing axe! Great for melee and ranged combat. I love the look and feel. 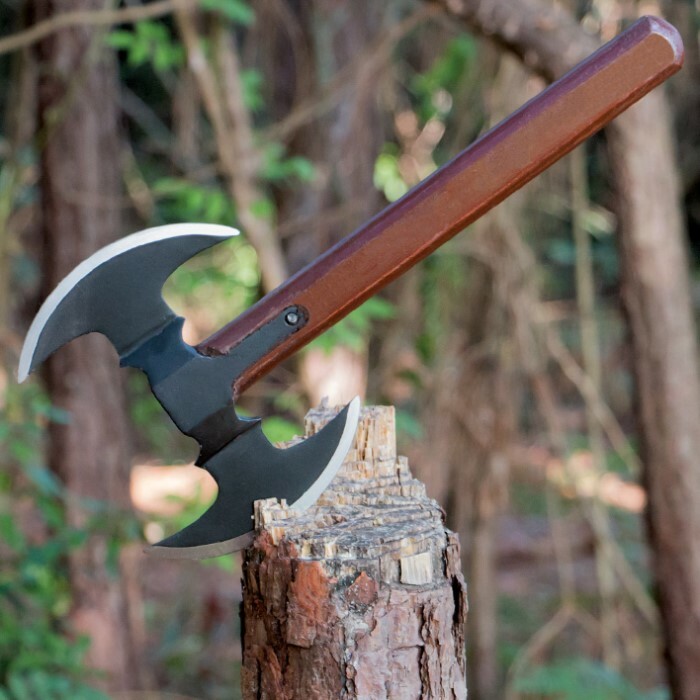 I would definitely recommend this to anyone looking for a great tomahawk at a great price! Great tomahawk! It is very solid and well made, I love the look and feel of it, I would definitely recommend this to anyone. Like other comments here, two of my four broke during the first 15 minutes. The metal is obviously cast and fragile. They are well balanced and throw well, but I would not buy them again. They are a waste of money. Well they seemed like quality but after about 30 throws, One is broken and one is bent and ready to break. First I must say they are balance pretty well. I had them stuck with the first throws. One broke at the thin part going down handle and the other, the whole blade is bent and ready to break off. It looks like cast metal where it broke. As a wall hanger or for show I would say ok, not for actual use! !